When you think of historic homes, what likely comes to mind first is their distinctive, authentic architectural look and feel. If you’re the owner of a historic home or if you’re considering buying one in the Chicago area, then you know that every detail of the home should stay true to its original character. Any renovations should be made carefully and thoughtfully—including the installation of replacement windows. Yes—even the windows matter when you are caring for a historic home and making sure it retains its value. But that doesn’t mean you have to keep those old, worn, hard-to-open windows that are decades old. There are some excellent choices for replacement windows that up the value of your home while retaining its historic appearance. Here’s what you need to know as you look for the right windows for your historic Chicago area home. Is it okay to replace the original windows? •Old windows are usually single-paned, which doesn’t properly insulate the home. •Heat and cold more easily penetrate old windows. •Old windows may be hard to open or close, making the house less functional. •Old windows may be broken, damaged, off-kilter, or otherwise flawed. New windows can match your historic home’s authentic look. Second of all, there’s a common misconception that new, modern windows will diminish a historic home’s authentic look and feel. But today’s windows offer so many options, including styles and looks that can match a historic home’s style. Is it better to restore old windows or replace them? It is sometimes possible to restore old windows, especially if you really love the way they look. Here’s what to consider before committing to either choice. •Restoration should be done by experts in historic windows who know how to avoid damage and retain the windows’ authentic look. •Restoration is practical only if the issues are relatively minor, such as upper sashes that are stuck or weather stripping that needs replacing. •Addressing drafty windows probably will involve adding storm windows, whether you try to keep the original windows or not. •Keep in mind — some problems cannot be addressed through restoration. If the wood around the windows is rotting, it’s best to replace them with modern windows that look historic. •There’s no getting around it — replacing the windows means removing the original windows. This is sometimes hard for homeowners to embrace. •But there’s good news — many modern windows come in styles that blend well with a home’s historic appearance, lending an authentic look. •Replacement windows are much more energy-efficient than old windows, so you’ll end up with better savings on heating and air conditioning. •Replacement windows also offer great protection from the elements, such as Chicago’s windy, wet weather. •Choosing the right replacement windows can increase your home’s value, helping you earn more when you decide to sell it. So, what do you need to look for when selecting the right replacement windows for your historic home? Historic home windows were made with wood frames. So, to get the best home value during a resale, you want your windows to be wood. Choose a replacement window with high-quality wood frames. •When it comes time to sell your home, potential buyers expect an authentic look. •Using a material other than wood can reduce your home’s overall value. •The investment in quality wood windows can boost your home’s resale value considerably. Your window replacement will likely pay for itself in the long run. Some of today’s windows look distinctly modern. Avoid them, and look instead for windows that retain an authentic historic feel. Don’t be afraid to ask local historic preservation experts in your area for insights on replacement windows that will honor your home’s historic feel. Sites such as Preservation Chicago can be a good start. Window installers who specialize in historic window replacement and window restoration can also help. 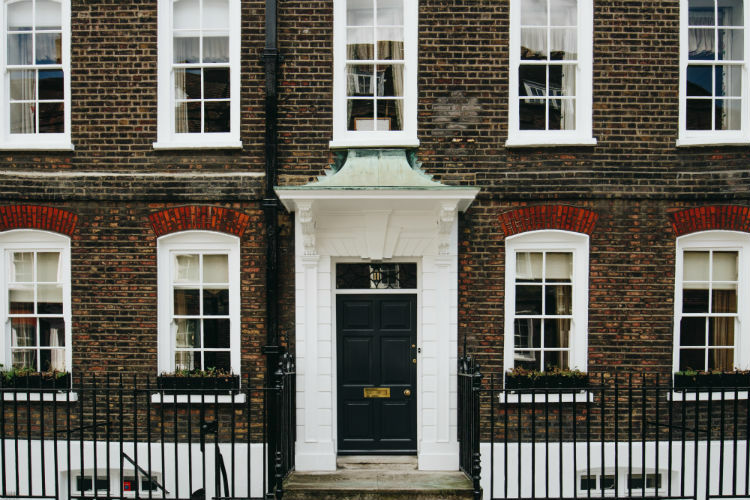 Remember, the restoration of your historic home can easily, effectively include replacement windows that match the authentic look and feel of your home’s architecture. There’s no need to compromise beauty and authenticity in the name of energy efficiency and functionality. You can have both. Remember, too, that experts like our team of historic home restorers here at Siding & Windows Group are trained and experienced in helping Chicago area homeowners choose the right windows to mirror their home’s historic appearance. We do the work with precision and care so your home retains its historic feel in every way, and you can enjoy your home with modern comforts as well as authentic historic beauty. Let us help you get the best of both worlds for your historic home. Contact us today to schedule a free consultation and quote on replacement windows that will have your home looking stunning for years to come.